We review the Gami Light Square 43 and Box 21, two new speedlight softboxes which fold flat in seconds. 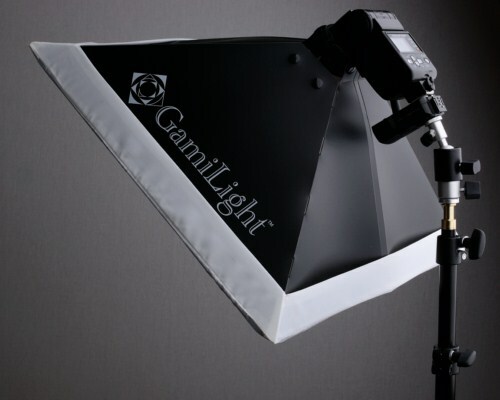 Gami Light Concepts, a new Malaysian-based company, recently launched their debut products, the Square 43 and Box 21 speedlight softboxes. We have been sent a sample of each modifier to review. Both the Square 43 and Box 21 are manufactured from polypropylene. The inside of each softbox is silver and the outside black, with a white fabric diffuser that attaches to the front. 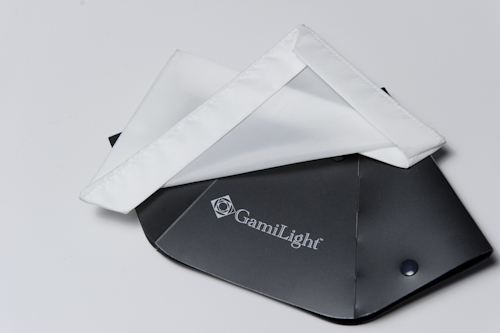 Unlike most softboxes which are assembled in similar fashion to a tent or umbrella, Gami Lights work more like origami, popping up from flat in seconds. So how do you fit such a contraption to your speedlight? 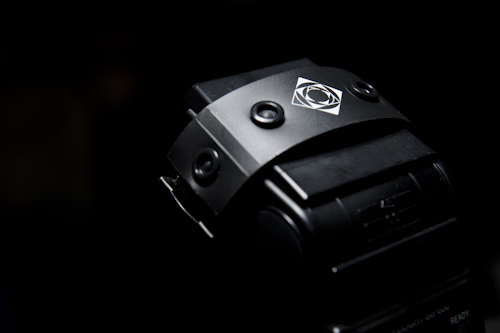 Dispensing with heavy speedrings or brackets, Gami Lights use a special accessory fitting directly to your flash head, with the softbox attaching to this via press studs. From its flat state, you pop the snap buttons to open it up, place it in the diffusion cloth which holds it all together. 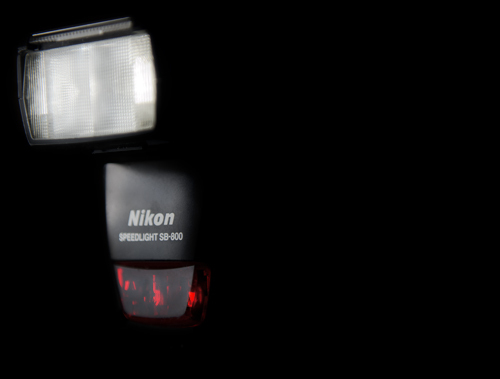 This is then pressed onto the snap buttons on the mount which is placed on the head of your flash. 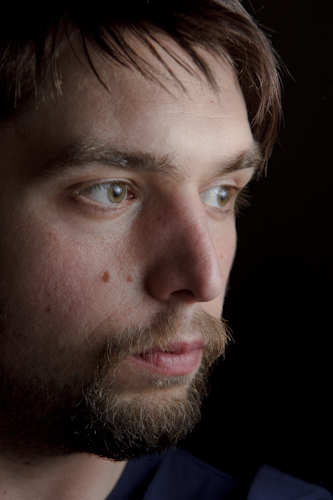 A quick self portrait, handheld, with the Square 43 half a foot from my face. 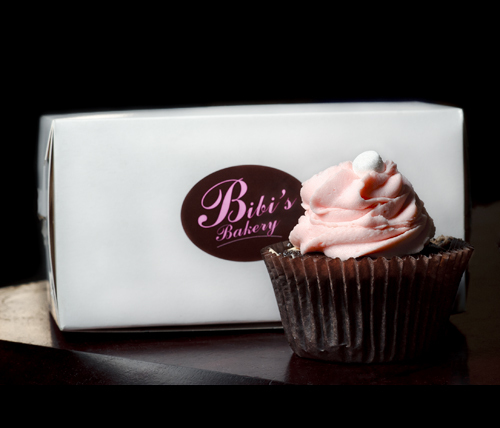 The cupcake is rendered with a beautiful soft light. When taking the following gear shot, it was easy to prevent background spill by bringing the Box 21 in very close. Gami Lights are available from Gadget Infinity (HK), Midwest Photo Exchange (US), EnjoyYourCamera (DE), Kaffebrus (SE) and Tecra (HK). The Square 43 is priced around US$50. For the relatively low price we think these are wonderful for the budding amateur looking to play with off-camera light, or even for professional photographers seeking extra modifiers for their arsenal. 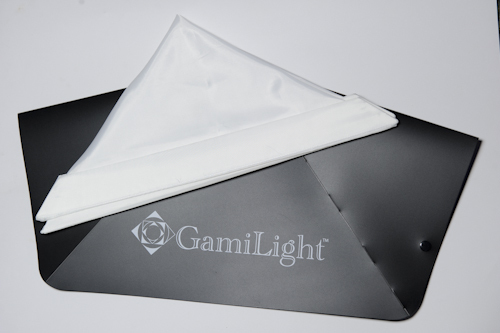 More information on Gami Lights can be found on their web site.